Is Your Business Ready For More Economic Slowdown this Year? Economic indicators have been showing signs of slowdown since late 2017 and despite the fact 2019 started off quite strong, Lakshman Achuthan – an economic cycle research institute warns that the global market is still not out of danger. There are continued signs showing decelerating economic growth which means that there is still that risk that stocks might find itself in the brink of a 10-20% correction. Dow and S&P have recovered from its 20% off trading last year but the issue is that the economic slowdown still doesn´t have an end in sight. This doesn´t mean there are no chances of growth happening later this year because it can happen if the international market can recover. However, this begs an important question to many businesses. 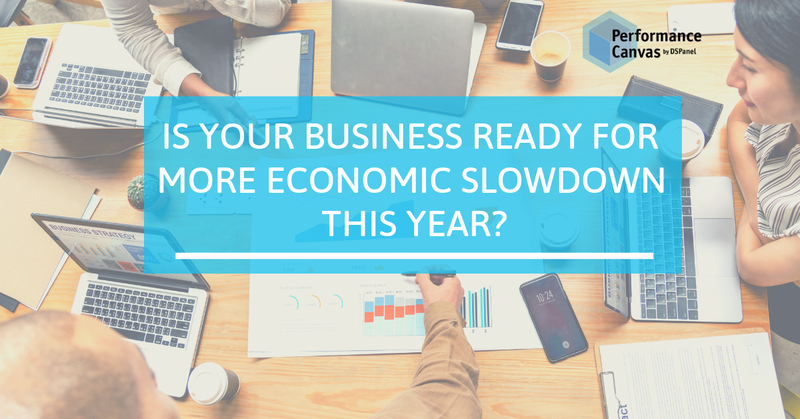 Is your business ready for more economic slowdown this year if or when it should happen? For a business to succeed in such an uncertain economic climate, this requires the right strategy. That goes without saying, the right business decisions must be made so that the business can continue to grow despite a slowdown. Techniques like careful monitoring of sales, gross margin, expenses, improved cash flow management, and making accurate financial forecasts can go a long way. It is important that during an economic slowdown like we have now, a business can foresee risks and opportunities. This is where a cloud budgeting software like Performance Canvas Financials can come in handy. Performance Canvas Financials is a complete, cloud-based FP&A solution that will allow your business to weather through tough economic periods by ensuring you have the agility to respond to sudden market changes. Performance Canvas Financials does that by affording you a streamlined and automated budget process that´ll afford you reliable figures, quick business insights, and the ability to do what if analysis and even test your business assumptions. At this economic climate, your business shouldn´t settle for good enough. You must always try to optimize systems, adopt best practices, streamline your processes, and ensure you aren´t steering the wheels of the business blind. The latest cloud budgeting technology of Performance Canvas Financials can help. To end, Lakshman Achuthan does not forecast a recession anytime soon and that is hopeful news, but it is important to note that whatever happens, your business must be able to react quickly, so your business can not only survive but thrive. Visit www.performancecanvas.com or email info@dspanel.com to see how this cloud budgeting software works.